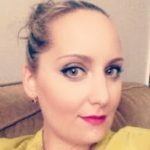 When you’re just starting out as a new freelance writer, it can be challenging knowing where to start. While there’s a lot of learning as you go along, you may already have something you can use to your advantage. Why not start with your education? There’s a lot of ways your schooling can help you succeed, even if your background isn’t writing related. It doesn’t matter if you’re a few weeks, months, or even years past your graduation date, you can always find a way to use your degree as a selling point. A lot of freelancers started with an innate passion for writing. It’s possible that the very same passion may have even shaped your educational career. Many writers have opted for degrees in fields such as English, Communications, or Journalism. If you fit into one of these categories, check out how you can put that paper to work for you! Holding a degree in English can help you in a variety of ways. First and foremost, as a former English major, you likely have a firm grasp of the basics of writing such as proper grammar, structure, and spelling. Besides the essentials, touting a background in English can let potential clients know that you’re well trained in communicating ideas concisely and clearly. Another powerhouse of a degree in the realm of writing is Communications. Communications covers a broad spectrum of skills ranging from public relations to research and analysis. Skills like these put communication majors at an advantage when looking to niche down, especially in the marketing and advertising space. If you’ve majored in journalism, chances are you have strong research skills, the ability to craft clear and informative pieces, experience with editing, and expertise in various media platforms. These traits alone makes for quite the desirable freelance hire. A journalism degree can strongly convey to clients that you’re a well-taught and professional writer. Being able to artfully craft a story is what many clients look for in a freelance writer. Whether it be an in-depth blog post, an informative case study, or targeted testimonials, creative writing majors have a lot to offer clients looking to get their message or brand out there. While these degrees may be seen as the “traditional” path for those who want to write for a living, it’s not the be-all and end-all. What if you’ve stumbled upon freelance writing after your college years? No worries! There are plenty of ways other degrees can be used to promote yourself as a freelancer. Part of being a successful freelancer is knowing the importance of niching down. Most times, your niche is determined by a combination of your interests, life or work experiences, and, in this case, educational background. As you know, education can come in many forms. For some, it comes in the shape of an associates, bachelor, or master’s degree. For others, it may be a professional license or certification. Both degrees and certifications can be used to help boost your credibility as a freelancer and give you a solid starting point concerning picking a niche. Let’s go over some of the most profitable niche areas that seamlessly pair with your current degree. As an evergreen topic, the health and fitness niche is one that’s here to stay. If you hold a degree or certification in one of these health and wellness areas, you could be well on your way to a profitable writing career! The tech world is ever-changing and ever-present in our daily lives. The need for tech-savvy writers is growing by the day, so now’s the time to hop on board. Especially if you have an educational background in tech, writing about technology can certainly pay off. Let’s be honest. Buying and selling homes can be a complicated process. Therefore, we rely on well-trained experts to help guide us along the way. If you have a background or certification in the real estate world, your “in” into the freelance world is here. Money has (and always will) make the world go ’round. Holding a degree in the financial field can go a long way in your freelance career as expert advice is always in high demand. Since most business is conducted via the internet these days, digital marketing is a huge factor for any company. Armed with digital marketing expertise, you’ll find companies are actively looking for you to help grow their brand. Having an education in Education can be a big windfall for freelance writers. All it takes is a quick look at the Contena job board to find a whole lot of high-paying jobs for people with an education background. Because your know-how is in high demand, using your degree or certification to grow your business couldn’t be easier. 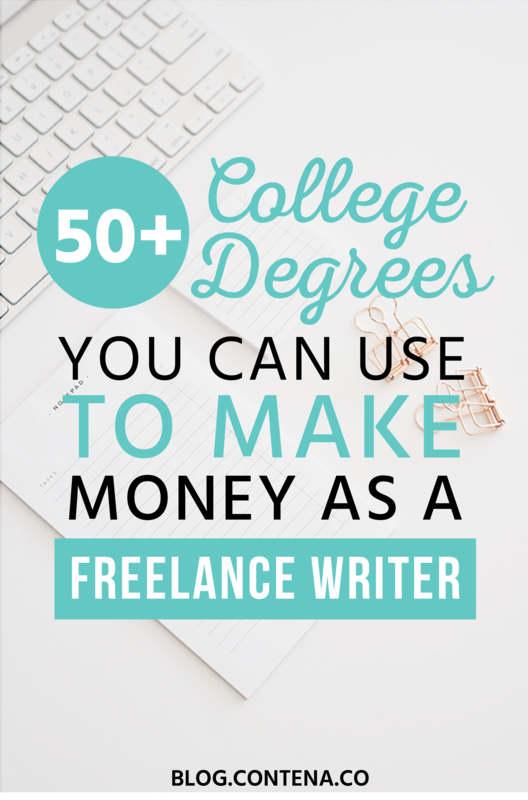 Because there’s no such thing as a “freelance writing” degree, you can use what you already have to help grow your business. But let me be clear, holding a degree, license, or certification is by no means required for freelancing success. However, if you do hold that piece of paper, it can be used to your advantage. 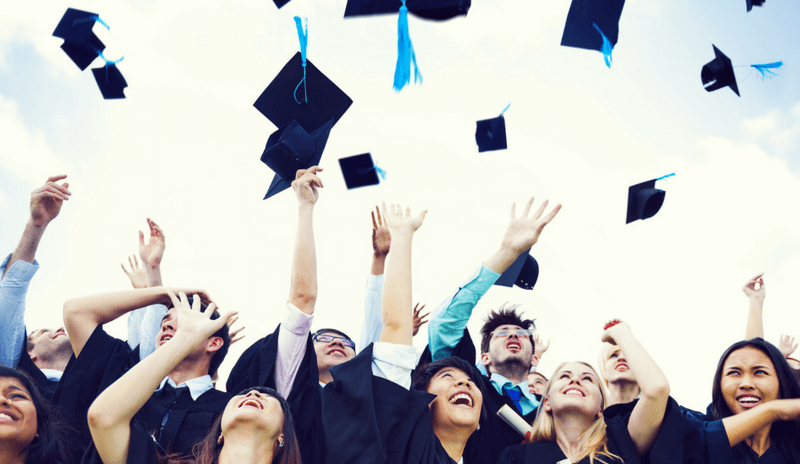 By using your educational background together with Contena, you’ll be well on your way to freelancing success!